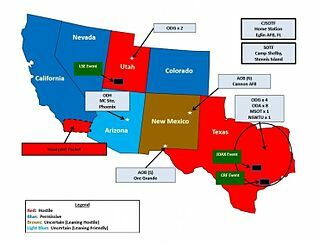 The Jade Helm 15 conspiracy theories were based on the Jade Helm 15 United States military training exercise which took place in multiple U.S. states in the summer of 2015, starting on July 15 and ending on September 15. 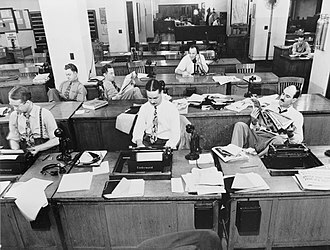 The announcements of these training exercises raised concerns and led to speculative interpretations that were characterized by The New York Times as "travers[ing] the outer edges of political paranoia". The joint exercise in realistic military training (RMT) known as Jade Helm 15 was sponsored by the United States Special Operations Command (USSOCOM or SOCOM) and involved the United States Army Special Operations Command (USASOC) and Joint Special Operations Command (JSOC) with other U.S. Military units in multiple states, including Texas, Arizona, Florida, Louisiana, Mississippi, New Mexico, and Utah. Its stated purpose was "to improve the Special Operations Forces' capability as part of the National Security Strategy". It was coordinated and led from Eglin Air Force Base, an Air Force Materiel Command (AFMC) base in northwest Florida. 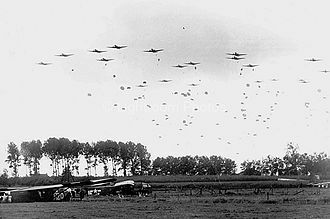 Approximately 1,200 troops were engaged over the course of the exercise. 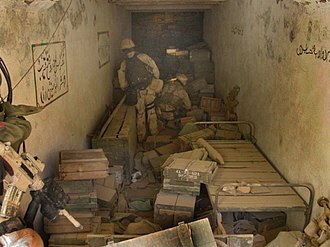 They were "mainly Army Green Berets, but also a small group of Navy SEALS and Air Force special operations troops as well as conventional Army infantry", although the initial request to state officials from USSOCOM listed elements of the United States Marine Corps Forces Special Operations Command (MARSOC), Marine expeditionary units, the 82nd Airborne Division, and "interagency partners" as participants. 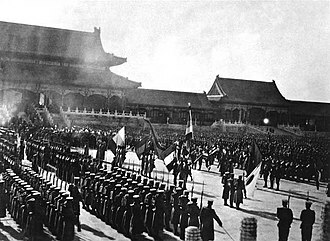 Troops engaging in the exercise assumed the roles of either occupying or resistance forces. Most locations were in sparsely populated arid regions near small towns. Some participants wore civilian attire and drove civilian vehicles. Maps of the exercise included areas of the United States such as Colorado and California where no actual operations were planned. The cities in Texas include Bastrop, Smithville, Big Spring, Caddo Lake, Caldwell, Christoval, College Station, Dell City, Eldorado, Goliad, Junction, Leakey, Menard, Mountain Home, San Angelo, San Antonio, and Victoria. USSOCOM claimed that "the size and scope of Jade Helm sets this one apart" from previous training exercises, such as Derna Bridge or Robin Sage. According to CNN, Lt. Col. Mark Lastoria spoke at an information session for residents in Bastrop, Texas and said that the realistic military training helps soldiers adapt to unfamiliar terrain. In Bastrop, 60 soldiers took part, including the presence of two Humvee vehicles and a "water buffalo" water tank. Private land offered by residents would be used for the exercise, though he noted that they would not be paid for the land or receive a tax break of any kind. Lastoria also claimed that $150,000 in revenue would be brought to the area because of food, fuel, and shopping. Journalists were not allowed to embed in the operation, but the Texas State Guard and the civilian group Counter Jade Helm monitored the exercise. The conspiracy theories seem to emanate from the map shown here from the U.S. Army Special Operations Command which divides the region into four colors, with two "hostile" states, two "permissive" states, two states leaning one way or the other, and California divided. Jim Shea of the Hartford Courant's wrote that the conspiracy theories included: a "psychological operation aimed at getting people used to seeing military forces on the streets" so that they do not realize when an invasion actually takes place; an international operation aimed to seize people's guns; recently closed Walmarts used by the military to "stockpile supplies for Chinese troops who will be arriving to disarm Americans"; and a military plan to "round up political dissidents" and "remove key political figures" who may be against the imposition of martial law. Other theories have described Jade Helm 15 as a "secret plot" to impose martial law, confiscate firearms, invade Texas, and institute "total population control." 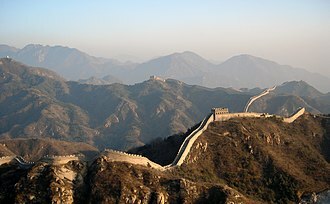 The conspiracy theories also included concern about the name of the exercise, with the "jade" possibly referring to China, or possibly an acronym for artificial intelligence developed by the U.S. military. Conspiracy theorist and Texas radio host Alex Jones said that "helm" is an acronym for "Homeland Eradication of Local Militants". There was some tie-in between the Jade Helm 15 exercise and a resurgence of the FEMA camps conspiracy theory with the exercise raising fear that it was a dry run for forcing patriots into internment camps. These fears were unfounded when the exercise was completed and no one was placed into a camp. Some conspiracy theorists have connected the Jade Helm 15 military exercise with an apocalypse caused by a comet or asteroid striking the Earth. 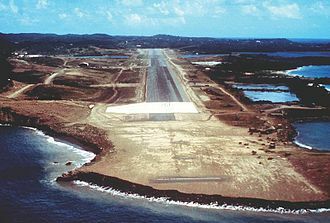 The Jade Helm 15 military exercise had an ending date of September 15, 2015, which is the same month identified by some conspiracy theorists for the catastrophic impact of a comet or asteroid, based in part on a statement made May 13, 2014 by the French Foreign Minister Laurent Fabius that the world has "500 days to avoid climate chaos". The conspiracy theorists claim that Jade Helm 15 is a dress rehearsal for the imposition of martial law which would be implemented in the event of a catastrophe of this level of severity. However, the NASA Near Earth Object Program publishes the Sentry Risk Table, which is a list that identifies such threats, and the list does not include any object with a high Torino Scale number (a measure of the severity of the threat) for 2015. Also, a NASA spokesperson said, "NASA knows of no asteroid or comet currently on a collision course with Earth". But some conspiracy theorists claim that the object has been tracked for years, the object name is known but its published coordinates and orbit information are incorrect, and the threat is not publicly listed because of the thought that panic would ensue. The apocalypse failed to happen on September 15, 2015. The Austin American-Statesman newspaper noted that after plans and maps of the exercise were made public, there was an "explosion of outrage on social media after the release of the map, which labeled Texas, Utah and the southern tip of California as 'hostile.'" There was also speculation that shuttered Walmart stores would be used for "guerrilla-warfare staging areas and FEMA processing camps", though this theory was debunked by the website Snopes. A survey of registered Republicans by Public Policy Polling in May 2015, found that 32% thought that "the Government is trying to take over Texas", and that half of all Tea Party supporters are concerned with an imminent Texas invasion. Greg Capers, sheriff of San Jacinto County, published a letter in the Cleveland Advocate (of Cleveland, Texas), in response to numerous phone calls from citizens, in which he described "alternative news sources" that were spreading inaccurate information about the exercise, and encouraged citizens to "utilize legitimate mainstream news sources" for those interested in accurate information. On April 28, Texas Governor Greg Abbott ordered the Texas State Guard to monitor the operation. "During the training operation, it is important that Texans know [that] their safety, constitutional rights, private property rights and civil liberties will not be infringed." On May 2, 2015, Texas senator Ted Cruz told the South Carolina Republican Party's annual convention that he had "reached out to the Pentagon to inquire about this exercise." We are assured [that] it is a military training exercise. I have no reason to doubt those assurances, but I understand the reason for concern and uncertainty, because when the federal government has not demonstrated itself to be trustworthy in this administration, the natural consequence is that many citizens don't trust what it is saying. U.S. Representative Louie Gohmert said in a statement on May 5, 2015 that his "office has been inundated with calls referring to the Jade Helm 15 military exercise" with concerns that the U.S. Army is preparing for "modern-day martial law". He alluded to a notorious remark made by Barack Obama, who claimed that Pennsylvanians were "bitter" and "cling to guns or religion": "I was rather appalled that the hostile areas amazingly have a Republican majority, 'cling to their guns and religion,' and believe in the sanctity of the United States Constitution". He asserted that "the map of the exercise needs to change, the names on the map need to change, and the tone of the exercise needs to be completely revamped so the federal government is not intentionally practicing war against its own states." In a November 2015 GQ interview, President Obama described Jade Helm as "his favorite conspiracy theory". All News Pipeline broke Jade Helm to the world on March 13, 2015, 5 days before conspiracy theorist and radio host Alex Jones, who began spreading the conspiracy theory on March 19, 2015, by saying on his radio program and on his website that the federal government was preparing to invade Texas. "They're going to practice breaking into things and stuff. This is going to be hellish," Jones said. "Now this is just a cover for deploying the military on the streets ... 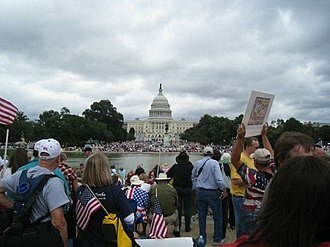 This is an invasion ... in preparation for the financial collapse and maybe even Obama not leaving office." 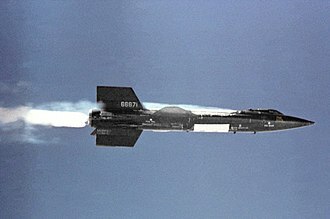 In reaction to the sentiment that the military exercises might in fact be movement against American citizens, Dallas Morning News columnist Jacquielynn Floyd wrote a column titled, "Abbott should counter, not cater to, Texans' crazy Jade Helm fears," noting that Abbott's "response to this nut-studded fruitcake of fear was unfortunate." On April 29, White House Press Secretary Josh Earnest addressed the concerns of critics in the regular press briefing, saying, "I have no idea what he's thinking," regarding Abbott's letter to the Texas Guard. "In no way will the constitutional rights or civil liberties of any American citizen be infringed upon while this exercise is being conducted." Comedian Jon Stewart addressed the debate around the exercises in a segment on The Daily Show on May 4 called "Fear and Absent Danger", noting that previous military exercises while Republican Rick Perry was governor did not raise similar concerns. A survey by Public Policy Polling between May 7 and May 10, 2015, found that 32% of 685 Republican primary voters believed "the government is trying to take over Texas", 40% believed "the government is not trying to take over Texas" and 28% were "unsure". Clint Watts, and two others in the FBI began to notice Russian disinformation campaigns starting in April 2014. Watts said that Russian-driven efforts to spread misinformation were involved with Jade Helm 15. In 2017, Facebook shut down a page called "Heart of Texas" which was found to be associated with a Russian company promoting disinformation, including promoting the Jade Helm conspiracy. On May 3, 2018, The Texas Tribune reported that Michael Hayden, a former director of the CIA and NSA said that the "hysteria" surrounding the training exercise "was fueled by Russians wanting to dominate 'the information space.'" Hayden said that Russian bots were used to spread misinformation. ^ Manny Fernandez (May 6, 2015). "Conspiracy Theories Over Jade Helm Training Exercise Get Some Traction in Texas". The New York Times. Retrieved May 8, 2015. ^ The military has not defined "Jade Helm 15" for the public as of January 2016. The acronym JADE stands for "Joint Assistant for Deployment and Execution," "a knowledge-based mixed-initiative system that supports force deployment planning and management. JADE uses case-based and generative planning methods to support the development of large-scale, complex deployment plans in minimal time." 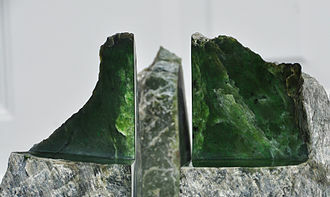 Joint Assistant for Development and Execution (JADE), Abstract, p. 1. 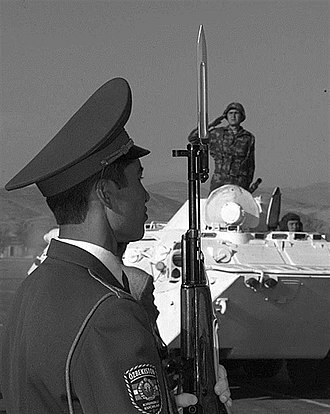 Defense Technical Information Center. Retrieved January 8, 2016. ^ a b c "Request to Conduct Realistic Military Training (RMT) Jade Helm 15". United States Army Special Operations Command. Retrieved January 8, 2016. ^ a b Lamothe, Dan (July 8, 2015). "Jade Helm 15, heavily scrutinized military exercise, to open without media access". The Washington Post. Retrieved January 8, 2016. ^ Starr, Barbara (May 4, 2015). "Pentagon claims it won't be taking over Texas". CNN. Retrieved May 6, 2015. ^ Fernandez, Manny (July 15, 2015). "As Jade Helm 15 Military Exercise Begins, Texans Keep Watch 'Just in Case'". The New York Times. Retrieved January 8, 2016. Local officials who have been briefed on the exercise say it is modeled after the French resistance to Nazi occupation during World War II. It calls for some military personnel to play the role of the occupiers and for others to work undetected as part of the resistance. ^ Manny Fernandez (July 15, 2015). "As Jade Helm 15 Military Exercise Begins, Texans Keep Watch 'Just in Case'". The New York Times. Retrieved July 16, 2015. ... some Jade Helm 15 participants "may conduct suspicious activities" as part of their training and others "will be wearing civilian attire and driving civilian vehicles." ^ a b c Lamothe, Dan (March 31, 2015). "Why Operation Jade Helm 15 is freaking out the Internet — and why it shouldn't be". The Washington Post. Retrieved May 1, 2015. ^ Baddour, Dylan (March 25, 2015). "Covert warfare coming to Texas sparks some fears of federal takeover". Houston Chronicle. Retrieved June 7, 2015. ^ USASOC News Service (March 24, 2015). "150324-03 PRESS RELEASE: Exercise readies SOF for threats abroad". United States Army Special Operations Command. Retrieved May 1, 2015. ^ Beausoleil, Sophia (April 27, 2015). "Gov. Abbott directs Texas Guard to monitor Jade Helm 15 operations". KXAN.com. Retrieved May 6, 2015. ^ Jahner, Kyle (July 15, 2015). "Jade Helm 15: Controversial military exercise starts Wednesday". Army Times. ^ "Civilians Begin Shadowing 'Jade Helm' War Exercise in Texas". The New York Times (Associated Press). July 15, 2015. ^ Baddour, Dylan (July 13, 2015). "Texans organize 'Operation Counter Jade Helm' to keep an eye on the federal troops". Houston Chronicle. ^ O'Connell, Oliver (July 16, 2015). "Secretive military operation 'Jade Helm' gets underway across seven states - as conspiracy theorists who fear it signals imminent martial law flock to monitor 'war simulation' exercise". Daily Mail (Associated Press). London. ^ Wofford, Taylor (May 5, 2015). "Jade Helm: The Conspiracy Theory That's Divided Texas Politicians". Newsweek. ^ "Operation Jade Helm 15: Military training exercise or martial law? Ask the Internet". Los Angeles Times. May 8, 2015. Archived from the original on May 17, 2015. Retrieved May 17, 2015. ^ Shea, Jim. "Thank You Texas and Good Luck with the Invasion". Hartford Courant. Retrieved May 17, 2015. ^ a b Fernadez, Manny (July 14, 2015). "In Texas, a Military Exercise Is Met by Some With Suspicion". The New York Times. Retrieved July 16, 2015. ^ Davidson, Amy (May 18, 2015). "Who Is Threatening Texas? – Unclear Dangers". The New Yorker. ^ Dale, Daniel (May 6, 2015). "Texas invasion? U.S. army fights 'Jade Helm' conspiracy theories". Toronto Star Newspapers. ^ Saal, Mark (July 18, 2015). "Jade Helm: What if conspiracy theorists finally got it right?". Standard-Examiner. Ogden Publishing Corporation. ^ Reinhard, Chelsea. "County Denounces Conspiracy Theories, Approves Jade Helm 15". sanangelolive.com. Retrieved 6 June 2018. ^ Smith, Morgan (15 July 2015). "In Bastrop, Jade Helm Begins With a Whimper". Texas Tribune. Retrieved 6 June 2018. ^ Tamblyn, Thomas (June 8, 2015). "Conspiracy Theorists Claim Massive 'Jade Helm' Military Exercise Is Preparation For The Apocalypse". The Huffington Post. ^ a b c Austin, Jon (June 8, 2015). "US military secretly preparing for asteroid that will wipe out mankind in September". Daily Express. ^ Dubuis, Anna (June 8, 2015). "America 'preparing for asteroid impact with massive army training exercise to stop apocalypse riots'". Daily Mirror. ^ "Asteroid Impact Apocalypse 2015: Mass Anxiety As Conspiracy Theorists Predict Catastrophe". The Inquisitr News. February 4, 2015. ^ Nelson, Sara C. (June 8, 2015). "Asteroid Apocalypse Spells End Of The World In September 2015". The Huffington Post. ^ a b Wells, Andy (June 8, 2015). "The World Is Going To End In September (Apparently)". Yahoo! News. ^ Goodenough, Patrick (May 13, 2014). "French Foreign Minister: 'We Have 500 Days to Avoid Climate Chaos'". cnsnews.com. ^ "2.5-Mile-Wide Comet Headed Toward Earth: Conspiracy Theorists Spread Doomsday Mass Hysteria". The Inquisitr News. May 1, 2015. ^ "Sentry Risk Table". NASA – Near Earth Object Program. Archived from the original on December 31, 2014. Retrieved June 12, 2015. ^ "Confirmed-2.5 Mile Wide Comet Headed Toward Earth With Chilling, Hellish Mystery Sounds and Screams". Disclose.tv. April 29, 2015. ^ Duclos, Susan (January 4, 2015). "E.L.E. (Extinction Level Event) Coming? Asteroid Warning, Govt Preps Underground Bases & "Extinction Protocol"". All News Pipeline. ^ cosbourn (September 15, 2015). "ISS Daily Summary Report – 09/15/15". NASA. ^ a b Walsh, Sean Collins (April 28, 2015). "Texas labeled as 'hostile' territory in Army's Jade Helm training". Austin American Statesman. Retrieved May 1, 2015. ^ Goodwyn, Wade (May 2, 2015). "Texas Governor Deploys State Guard To Stave Off Obama Takeover". NPR. Retrieved May 4, 2015. ^ Mikkelson, Barbara (April 23, 2015). "Walmartyrs to the Cause". Snopes. ^ "Poll Press release" (PDF). Public Policy Polling. Retrieved May 14, 2015. ^ "Majority of likely GOP primary voters could believe Operation Jade Helm 15 is probably a federal invasion of Texas". Salon. Retrieved May 14, 2015. ^ "Sheriff Capers issues letter to community regarding Operation Jade Helm". Cleveland Advocate. Retrieved May 17, 2015. ^ Svitek, Patrick (April 30, 2015). "Abbott's Letter Elevates Jade Helm 15 Concerns". The Texas Tribune. Retrieved May 1, 2015. ^ Weigel, David (May 2, 2015). "Ted Cruz Says He Has Asked the Pentagon for Answers on Jade Helm 15". Bloomberg Politics. Retrieved May 4, 2015. ^ a b Knowles, David (May 6, 2015). "Worried about Operation Jade Helm? Texas Republicans Hear You". Bloomberg. Retrieved May 6, 2015. ^ Berman, Matt (May 5, 2015). "Louie Gohmert Gets Why Some Texans Are Worried About a Military Takeover". National Journal. Retrieved May 6, 2015. ^ Gohmert, Louie (May 5, 2015). "Gohmert Statement on Jade Helm Exercises : U.S. Congressman Louie Gohmert". gohmert.house.gov. Retrieved May 6, 2015. ^ Matt Levin (November 19, 2015). "Obama picks 'Jade Helm' as his favorite conspiracy theory about his presidency". San Francisco Chronicle. ^ a b Viser, Matt (May 26, 2015). "Suspicion of US government reaches a new level in Texas". Boston Globe. Retrieved May 26, 2015. ^ Floyd, Jacquielynn (April 30, 2015). "Floyd: Abbott should counter, not cater to, Texans' crazy Jade Helm fears". Dallas Morning News. Retrieved May 1, 2015. ^ Knowles, David (April 29, 2015). "Whoa, If True: 'Operation Jade Helm 15' Lays Groundwork for Martial Law". Bloomberg Politics. Retrieved May 1, 2015. ^ Thompson", Catherine (April 30, 2015). "White House On A Possible Military Takeover Of Texas: Um, No". Talking Points Memo. Retrieved May 1, 2015. ^ Lamothe, Dan (May 5, 2015). "Watch Jon Stewart rip reaction to Jade Helm 15, the military exercise spawning conspiracy theories". The Washington Post. Retrieved May 6, 2015. ^ "'Daily Show' makes a mockery of 'Lone Star lunatics' and Jade Helm 15". All Ablog Austin. May 5, 2015. Retrieved May 6, 2015. ^ "Many GOP voters buy into 'Jade Helm' conspiracy theory". Retrieved September 15, 2015. ^ a b Green, J. J. (2017-09-18). "Anatomy of a Russian attack: First signs of the Kremlin's attempt to influence the 2016 election". WTOP. Retrieved 2018-05-03. ^ Michel, Casey (2017-09-07). "How Russia Created the Most Popular Texas Secession Page on Facebook". Extra Newsfeed. Retrieved 2018-05-03. ^ Pollock, Cassandra; Samuels, Alex (2018-05-03). "Hysteria over Jade Helm exercise in Texas was fueled by Russians, former CIA director says". The Texas Tribune. Retrieved 2018-05-03. ^ Barragan, James (2018-05-03). "Russians spread misinformation on Jade Helm military exercise in Texas, former CIA director says". Dallas News. Retrieved 2018-05-03. 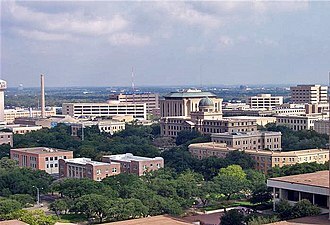 Bastrop is a city and the county seat of Bastrop County, United States. Located about 30 miles southeast of Austin, it is part of the Greater Austin metropolitan area, the population was 7,218 according to the 2010 census. Bastrop is located near the center of Bastrop County along the Colorado River, the downtown business district of the city is located on a bluff on the east bank of the river, but the city extends to the west side of the river as well. 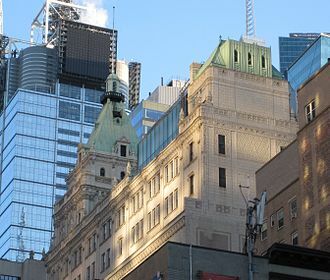 According to the United States Census Bureau, the city has an area of 9.1 square miles, of which 9.0 square miles is land and 0.12 square miles. Three miles northeast of the town, Lake Bastrop is a 906-acre reservoir on Spicer Creek operated by the Lower Colorado River Authority since its impounding in 1964. Although primarily used as a pond for the Sim Gideon Power Plant, the lake is used for recreation. The Bastrop Independent School District serves Bastrop, some residents are zoned to Mina Elementary School, while others are zoned to Emile Elementary School. All residents are zoned to Bastrop Intermediate School, Bastrop Middle School, Austin Community College conducts night and continuing education classes at the Bastrop High School. From 1893 until 1969 Emile High School served as the black high school. The Hyatt Regency Lost Pines Resort and Spa, opened on June 2,2006, with 491 rooms and gave a boost to employment, when the property changed ownership in 2011, officials stated it employed 600 individuals plus 175 additional seasonal employees. The first edition of The Bastrop Advertiser and County News was published on March 1,1853, the wider Bastrop County is covered by papers such as the Elgin Courier. Several movies were at least partially filmed in Bastrop, including Lovin Molly, the original The Texas Chain Saw Massacre, Home Fries, Courage Under Fire, other projects include All The Boys Love Mandy Lane and Fireflies in the Garden, starring Willem Dafoe and Julia Roberts. Recently, the remake of Friday the 13th was filmed in Bastrop. True Women 1998 with Angelina Jolie, Dana Delany, and Michael York, The Tree of Life 2010 with Brad Pitt, bernie 2010 with Jack Black, Shirley MacLaine, and Matthew McConaughey. The first two emphasize language and training skills in working with foreign troops. S. government activities may specialize in these secondary areas. Many of their techniques are classified, but some nonfiction works. As special operations units, Special Forces are not necessarily under the authority of the ground commanders in those countries. Instead, while in theater, SF units may report directly to a geographic combatant command, USSOCOM, the Central Intelligence Agencys highly secretive Special Activities Division and more specifically its Special Operations Group recruits from the Armys Special Forces. 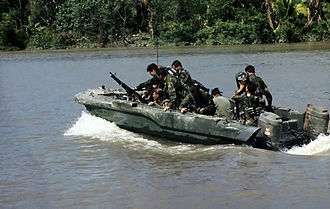 Joint CIA–Army Special Forces operations go back to the MACV-SOG branch during the Vietnam War, the cooperation still exists today and is seen in the War in Afghanistan. The primary mission of the Army Special Forces is to train and lead unconventional warfare forces, the 10th Special Forces Group was the first deployed SF unit, intended to train and lead UW forces behind enemy lines in the event of a Warsaw Pact invasion of Western Europe. Special Forces personnel qualify both in advanced military skills and the languages and cultures of defined parts of the world. As strategic resources, they report either to USSOCOM or to a regional Unified Combatant Command, to enhance their DA capability, specific Commanders In-Extremis Force teams were created with a focus on the direct action side of special operations. SF team members work together and rely on one another under isolated circumstances for long periods of time. Because of this, they develop clannish relationships and long-standing personal ties and they are required to move to staff positions or to higher command echelons. With the creation of USSOCOM, SF commanders have risen to the highest ranks of U. S. Army command, including command of USSOCOM, the Armys Chief of Staff, and the Chairman of the Joint Chiefs of Staff. 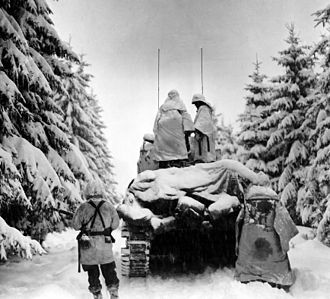 Although the OSS was not an Army organization, many Army personnel were assigned to the OSS, in 1951, Major General Robert A. McClure chose former OSS member Colonel Aaron Bank as Operations Branch Chief of the Special Operations Division of the Psychological Warfare Staff in the Pentagon. Wal-Mart Stores, Inc. doing business as Walmart, is an American multinational retailing corporation that operates as a chain of hypermarkets, discount department stores, and grocery stores. Headquartered in Bentonville, the company was founded by Sam Walton in 1962, as of January 31,2017, Walmart has 11,695 stores and clubs in 28 countries, under a total of 63 banners. The company operates under the name Walmart in the United States and it operates as Walmart de México y Centroamérica in Mexico and Central America, as Asda in the United Kingdom, as the Seiyu Group in Japan, and as Best Price in India. It has wholly owned operations in Argentina and Canada and it owns and operates the Sams Club retail warehouses. Walmart is the worlds largest company by revenue, according to the Fortune Global 500 list in 2016 and it is a family-owned business, as the company is controlled by the Walton family. 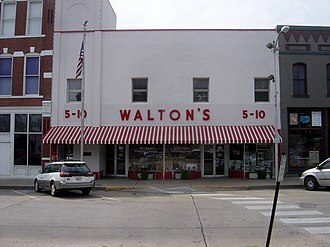 Sam Waltons heirs own over 50 percent of Walmart through their company, Walton Enterprises. Walmart is one of the worlds most valuable companies by market value, in 2016,62.3 percent of Walmarts US$478.614 billion sales came from its U. S. operations. The company was listed on the New York Stock Exchange in 1972, by 1988, Walmart was the most profitable retailer in the U. S. and by October 1989, it had become the largest in terms of revenue. 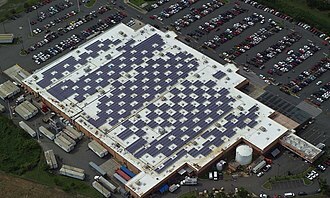 A Walmart in York, Pennsylvania opened in October 1990, bringing the store to the Northeast. In 1945, a businessman and a former J. C. Penney employee, Sam Walton and his primary focus was on selling products at low prices to get higher-volume sales at a lower profit margin, portraying it as a crusade for the consumer. He experienced setbacks, because the price and branch purchase were unusually high. He passed on the savings in the product pricing, sales increased 45 percent in his first year of ownership to US$105,000 in revenue, which increased to US$140,000 the next year and US$175,000 the year after that. Within the fifth year, the store was generating US$250,000 in revenue, when the lease for the location expired, Walton was unable to reach an agreement for renewal, so he opened up a new store at 105 N.
San Angelo /sæn ˈændʒəloʊ/ is a city in and the county seat of Tom Green County, United States. According to a 2014 Census estimate, San Angelo has a population of 100,450. The city is the city and center of the San Angelo metropolitan area. San Angelo is home to Angelo State University, historic Fort Concho, common nicknames of the city include Angelo, the River City, the Concho City, the Pearl of the Conchos, and the Oasis of West Texas. Prior to the arrival of Europeans, San Angelo was the center of the Jumano people, as of 1600, the area had been inhabited for over a thousand years by succeeding cultures of indigenous peoples. In 1632, a mission of Franciscans under Spanish auspices was founded in the area to serve the Indians. The mission was led by the friars Juan de Salas and Juan de Ortega, the area was visited by the Castillo-Martin expedition of 1650 and the Diego de Guadalajara expedition of 1654. The current city of San Angelo was founded in 1867, when the United States built Fort Concho, the fort was home to cavalry and the famous Black Cavalry, known as Buffalo Soldiers by Indigenous Americans. The settler Bartholomew J. DeWitt founded the village of Santa Angela outside the fort at the junction of the North and South Concho Rivers and he named the village after his wife, Carolina Angela. The name was changed to San Angela. The name would change again to San Angelo in 1883 on the insistence of the United States Postal Service, the town became a trade center for farmers and settlers in the area, as well as a fairly lawless cow town filled with brothels and gambling houses. After being designated as the county seat, the town grew quickly in the 1880s and it became a central transportation hub for the region. The Santa Fe Railroad arrived in 1888 and the Kansas City, after a tuberculosis outbreak hit the United States in the early 1900s, many patients moved to San Angelo. At the time, doctors could only recommend rest in dry, TB sufferers went to San Angelo for treatment. In 1928, the city founded San Angelo College, one of the regions first institutes of higher education, the city had been passed over by the Texas State Legislature to be the home of what would become Texas Tech University. The Texas State Guard is one of three branches of the Texas Military Forces. Along with the two branches, the TXSG falls under the command of the Governor of Texas and is administered by the Texas Adjutant General. The other two branches of the Texas Military Forces are the Texas Army National Guard and the Texas Air National Guard. Headquartered at Camp Mabry in Austin, the TXSG functions as a state militia under the authority of Title 32 of the U. S. Code. The Governor of Texas has sole control over the Texas State Guard and they are not part of the federal armed forces command structure, but rather operate purely as a state organized and controlled force. The Texas State Guard consists of six Civil Affairs Regiments, two Air Wings, a Medical Brigade, and a Maritime Regiment, members entry rank depends on prior federal military service and/or civilian education. Individuals with no military service or ROTC training must attend the Basic Orientation Training course. Texas State Guard personnel actively support the state in the event of catastrophic events, members receive duty pay when activated by the Governor and placed on paid state active duty, and starting in 2008, for a limited number of mandatory training days. The organizational structure follows the military component structure, with comparable positions, protocols. Members wear the Texas military uniform according to branch of service in regards to military forces when conducting activities while on duty. TXSG personnel are eligible for the same State issued military awards. For example, deployed members of the Texas State Guard received the Governors Unit Citation for Hurricane Katrina, the governor is the supreme commander in chief of the Texas State Guard, until the Texas General Assembly says otherwise. But, the Militia shall not be called into service except in case of rebellion or invasion, and only when the General Assembly shall declare, by law, the Texas State Guard has its roots in Stephen F. Austins colonial militia. Austin was appointed to the rank of lieutenant colonel and allowed the colonists to elect all subordinate militia officers, soon after, Austin’s militia was authorized to make war on Indian tribes who were hostile and molested the settlement. The command is part of the Department of Defense and is the only Unified Combatant Command legislated into being by the U. S. Congress. 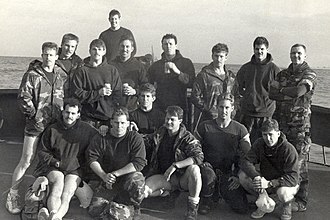 USSOCOM is headquartered at MacDill Air Force Base in Tampa, the idea of a unified special operations command had its origins in the aftermath of Operation Eagle Claw, the disastrous attempted rescue of hostages at the American embassy in Iran in 1980. Since its activation on 16 April 1987, U. S, Special Operations Command has participated in many operations, from the 1989 invasion of Panama to the ongoing Global War on Terrorism. 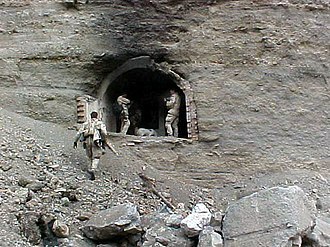 Since the incident, the Army Chief of Staff, General Edward C, shy Meyer, called for a further restructuring of special operations capabilities, eventually helping to create the U. S. By 1983, there was a small but growing sense in the Congress for the need for military reforms, in June, the Senate Armed Services Committee began a two-year-long study of the Defense Department, which included an examination of SOF spearheaded by Senator Barry Goldwater. The Joint Special Operations Agency thus did little to improve SOF readiness, capabilities, or policies, within the Defense Department, there were a few staunch SOF supporters. Noel Koch, Principal Deputy Assistant Secretary of Defense for International Security Affairs, at the same time, a few on Capitol Hill were determined to overhaul United States Special Operations Forces. Senators Nunn and Cohen felt strongly that the Department of Defense was not preparing adequately for future threats, Senator Cohen agreed that the U. S. needed a clearer organizational focus and chain of command for special operations to deal with low-intensity conflicts. In October 1985, the Senate Armed Services Committee published the results of its review of the U. S. military structure, entitled Defense Organization. Mr. James R. Locher III, the author of this study, examined past special operations. This influential document led to the Goldwater-Nichols Defense Reorganization Act of 1986, by spring 1986, SOF advocates had introduced reform bills in both houses of Congress. Congress held hearings on the two bills in the summer of 1986, Admiral William J. Crowe Jr. Chairman of the Joint Chiefs of Staff, led the Pentagons opposition to the bills. He proposed, as an alternative, a new Special Operations Forces command led by a three-star general and this proposal was not well received on Capitol Hill—Congress wanted a four-star general in charge to give SOF more clout. A number of retired officers and others testified in favor of the need for reform. By most accounts, retired Army Major General Richard Scholtes gave the most compelling reasons for change, after his formal testimony, Scholtes met privately with a small number of Senators to elaborate on the problems that he had encountered in Grenada. Both the House and Senate passed SOF reform bills, and these went to a committee for reconciliation. Senate and House conferees forged a compromise, the final bill, attached as a rider to the 1987 Defense Authorization Act, amended the Goldwater-Nichols Act and was signed into law in October 1986. Eldorado is a city in and the county seat of Schleicher County, United States. The population was 1,951 at the 2010 census, Eldorado is located on U. S. Highway 277 some 21 miles north of Sonora and 43 miles south of San Angelo, Texas. Eldorado is located at 30°51′39″N 100°35′54″W, according to the United States Census Bureau, the city has a total area of 1.4 square miles, all of it land. As of the census of 2000,1,951 people,712 households, the population density was 1,407.5 people per square mile. There were 838 housing units at a density of 604.6 per square mile. The racial makeup of the city was 70. 63% White,2. 15% African American,0. 10% Native American,0. 26% Asian,0. 05% Pacific Islander,24. 24% from other races, and 2. 56% from two or more races. Hispanics or Latinos of any race were 53. 92% of the population, about 26. 3% of all households were made up of individuals, and 13. 1% had someone living alone who was 65 years of age or older. The average household size was 2.67 and the family size was 3.26. 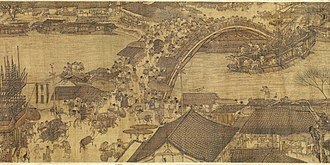 In the city, the population was distributed as 30. 4% under the age of 18,7. 7% from 18 to 24,24. 7% from 25 to 44,21. 3% from 45 to 64, the median age was 36 years. For every 100 females, there were 96.9 males, for every 100 females age 18 and over, there were 89.4 males. The median income for a household in the city was $27,682, males had a median income of $26,172 versus $18,750 for females. The per capita income for the city was $12,994, about 20. 8% of families and 26. 1% of the population were below the poverty line, including 35. 6% of those under age 18 and 26. 2% of those age 65 or over. The City of Eldorado is served by the Schleicher County Independent School District, at the end of the 2007–2008 school year, the state of Texas ruled Eldorado High School as Academically Unacceptable. In 2010, the school has been determined to be Academically Acceptable, over 400 children were removed from the compound in April 2008 by Texas Child Protective Services. Hundreds of children were taken into custody and temporarily placed into foster homes, a woman in Colorado City, associated with the FLDS is suspected of reporting in this and other similar cases in Colorado City, Arizona. Caldwell is a designated Main Street City in Burleson County, United States. The population was 4,104 at the 2010 census and it is the county seat of Burleson County. It is part of the Bryan-College Station metropolitan area, Caldwell is the home of the Czech Heritage Museum, which is open to the public on Saturdays from 10 a. m. to 3 p. m. The annual Kolache Festival, a celebration of Czech heritage named for a type of pastry, is held in Caldwell the second weekend of September, Caldwell is located northwest of the center of Burleson County at 30°31′43″N 96°42′1″W. Texas State Highway 21 passes through the center of the city, leading northeast 23 miles to Bryan, Texas State Highway 36 bypasses the center of the city to the northeast, leading northwest 16 miles to Milano and southeast 32 miles to Brenham. According to the United States Census Bureau, Caldwell has an area of 3.9 square miles, of which 0.03 square miles. As of the census of 2000, there were 3,449 people,1,322 households, the population density was 1,021.4 people per square mile. There were 1,485 housing units at a density of 439.8 per square mile. The racial makeup of the city was 71. 24% White,12. 64% African American,0. 17% Native American,0. 09% Asian,13. 71% from other races, hispanic or Latino of any race were 22. 96% of the population. 26. 3% of all households were made up of individuals and 15. 8% had someone living alone who was 65 years of age or older, the average household size was 2.61 and the average family size was 3.16. In the city, the population was out with 28. 8% under the age of 18,9. 5% from 18 to 24,26. 7% from 25 to 44,20. 5% from 45 to 64. The median age was 34 years, for every 100 females there were 87.0 males. For every 100 females age 18 and over, there were 83.2 males, the median income for a household in the city was $29,936, and the median income for a family was $37,658. Males had an income of $25,745 versus $20,306 for females. The per capita income for the city was $14,141, about 14. 2% of families and 17. 9% of the population were below the poverty line, including 21. 0% of those under age 18 and 12. 2% of those age 65 or over. 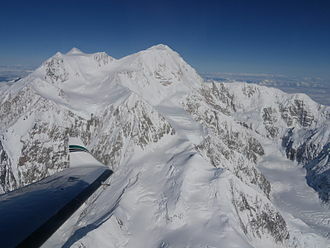 Five F-15Cs from the 33d Fighter Wing of Eglin Air Force Base fly over an Alaskan mountain range during a deployment to Elmendorf Air Force Base, Alaska. An A-10C Thunderbolt II, piloted by the 40th Flight Test Squadron, flies over what's left of a target that was successfully hit by a Laser Joint Direct Attack Munition drop on the Eglin range. A Northrop F-89C landing at Eglin Air Force Base during the 1950s. 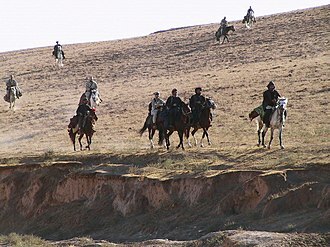 Special Forces soldiers from Task Force Dagger and Commander Dostum on horseback in the Dari-a-Souf Valley, Afghanistan, circa October 2001—celebrated in the movie "12 Strong"
Marine Raiders conduct combat operations in eastern Afghanistan. A Marine Raider glides towards his target during high-altitude parachute operations. The Colorado River through Bastrop. Smitty the Gingerbread Man stands as a reminder of Smithville's Guinness World Record for baking the largest gingerbread man at the time. The Channel was used by Steamboats to reach the port at Jefferson, until water levels fell after the removal of the Great Raft. The First Baptist Church is located in a residential area at 501 West Mustang Street in Caldwell. Historic First Presbyterian Church at 600 West Buck Street in Caldwell was first organized in the early 1840s by the Reverend Hugh Wilson. "The Historic Ditch Walk" began in 1876, when the Vaughn Agricultural and Mechanical Canal Company sought to provide irrigation by gravity flow from the nearby San Saba River to 2000 acres of land and to provide power for gristmills. Pioneer Rest Cemetery in Menard has graves from the 19th century. Rosebud Fountain and Grill has been highlighted on Bob Phillips' Texas Country Reporter. Special Forces soldiers from 3rd Battalion, 10th Special Forces Group (Airborne), conduct shoot-house training at Fort Carson in September 2009. Candidates in SFAS class 04-10 participate in logs drills in January 2010. A Canadian soldier participates in a timed march alongside US Army soldiers during the Special Forces Qualification Course. In 2009 the John F. Kennedy Special Warfare Center began to once again accept some students from allied nations wishing to attend the school. A Special Forces candidate conducts a pre-mission rehearsal with Army ROTC cadets role playing guerilla fighters during ROBIN SAGE. 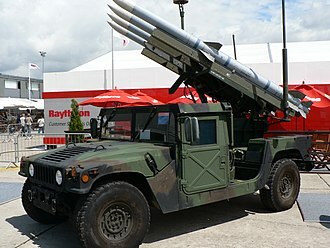 A HMMWV equipped with Raytheon surface-to-air missiles, on display at the Paris Air Show in June 2007. 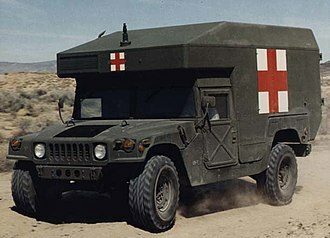 A U.S. military M997 ambulance, emblazoned with the Red Cross. Soldiers of 3rd BCT/ 25th ID, use an M153 CROWS atop an M115A1 HMWVV at the Battle Area Complex, Schofield Barracks, Hawaii, 2017. Governor of Texas Greg Abbott Commander in Chief. This iconic 1846 lithograph by Nathaniel Currier was entitled "The Destruction of Tea at Boston Harbor"; the phrase "Boston Tea Party" had not yet become standard. Contrary to Currier's depiction, few of the men dumping the tea were actually disguised as Native Americans. Members of Hoosiers for Fair Taxation stage one of the country's first local Tea Party protests against mayor Bart Peterson on July 28, 2007 by putting their tax assessments in an oversize tea bag and dunking it into the Broad Ripple Canal. The Sam Adams Alliance awarded organizer Melyssa Hubbard (née Donaghy) the first annual Tea Party prize for staging these protests. The San Antonio River flows through Goliad.